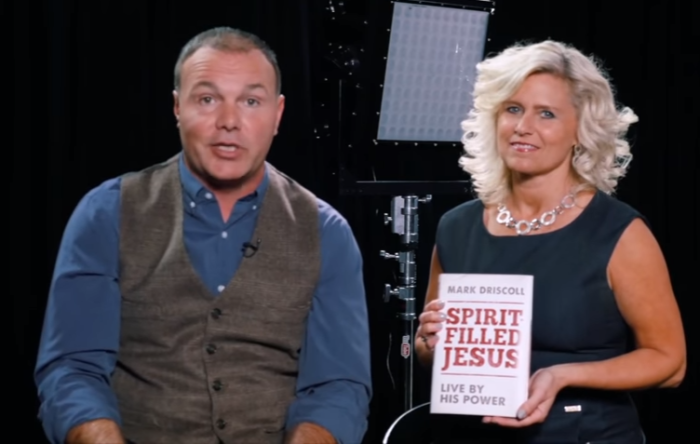 Nearly five years since publishing his last book, A Call to Resurgence: Will Christianity Have a Funeral or a Future?, controversial Pastor Mark Driscoll will return to the publishing world with a new book 30 years in the making called, Spirit-Filled Jesus. Driscoll, who currently serves as senior pastor at The Trinity Church in Scottsdale, Arizona, was forced to step down in 2014 from his very successful but now defunct Mars Hill Church in Seattle due to allegations of bullying and plagiarism. He was accused of plagiarizing the 2000 book written by theologian Peter Jones, called Gospel Truth, Pagan Lies: Can You Tell the Difference? Mars Hill also reportedly spent some $200,000 to land one of Driscoll's books on The New York Times best-seller list. Driscoll has wept and apologized over his past missteps and now wants to share lessons from the life-changing journey he has been on with the Holy Spirit. "I have been on a journey with the Holy Spirit that has given me a life-changing new perspective: submitting to the Spirit has changed my marriage, how I raise my children and even how I minister to others," said Driscoll in a recent interview with Steve Strang, founder and CEO of Charisma Media at YouTube's offices in New York City. "I want to share this journey with others, so they can experience the same power from the Holy Spirit." The book, which will be published by Charisma House, is set for release in October and Strang, who praised Driscoll as a "great author," says he has never seen a book written on Christians living a Spirit-filled life before. "I've been serving the Spirit-filled community my entire adult life (42 years)," Strang said. "The concept of this book, we're all about being Spirit-filled. We're all about Jesus, and here you put this together. I don't know of anybody who has ever written about this concept before. That is going to make it very unique. I think people are going to want this message and are going to understand how it applies to their own lives." Driscoll says he's hoping to inspire people to look for help from the Holy Spirit instead of just trying to fix life's challenges by themselves. "People often turn to self-help, and self-help, quite frankly, is of no help," Driscoll said. "What we need is the Spirit's help. The Holy Spirit empowered the life of Jesus. Jesus sends the Holy Spirit to empower our lives so we can overcome the same obstacles, that we can live by His power and walk in His freedom and joy; and that includes our emotional health, our relational health, our family and our ministry. Spirit-Filled Jesus is an incredibly practical book that is rooted in deep biblical principles."